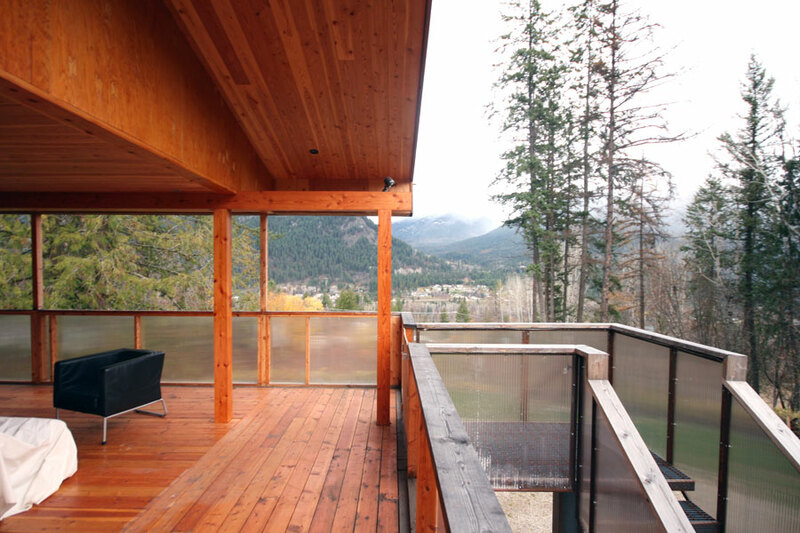 After completing Skyholm we applied for, and received, a grant from the B.C. 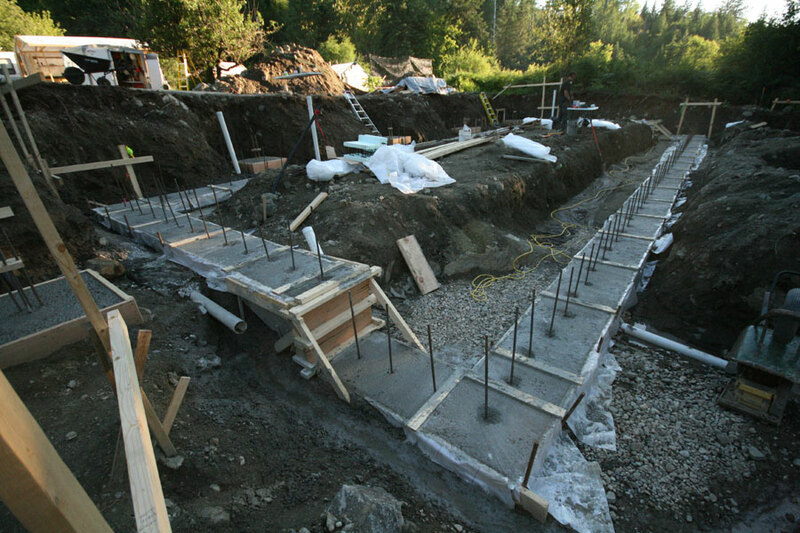 government and Fortis BC to be part of their Super-Efficient New Construction initiative. 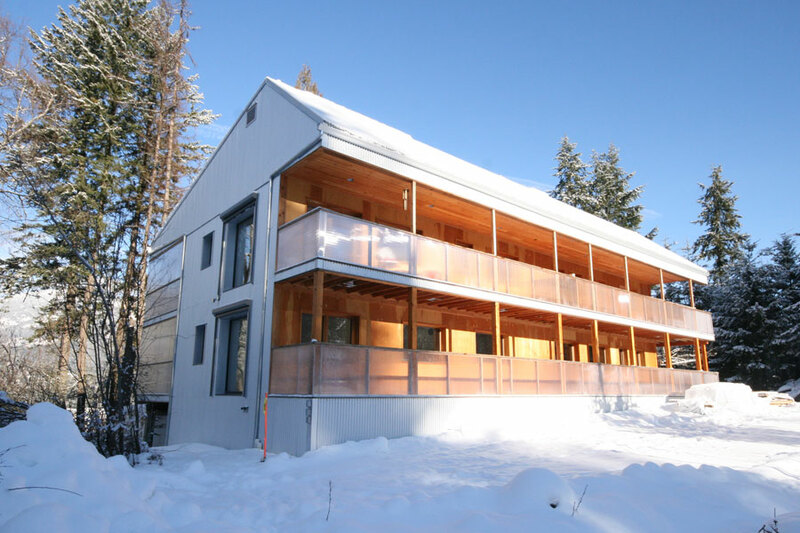 The grant allowed us to build a family triplex to Passive House standards. 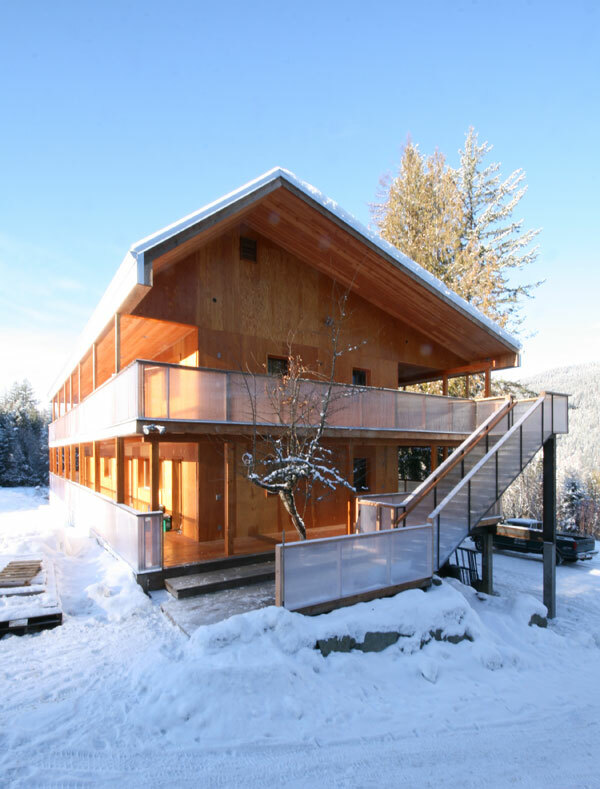 Passive House has stringent guidelines which result in a building requiring 80-90% less energy than a home built to the typical B.C building code. 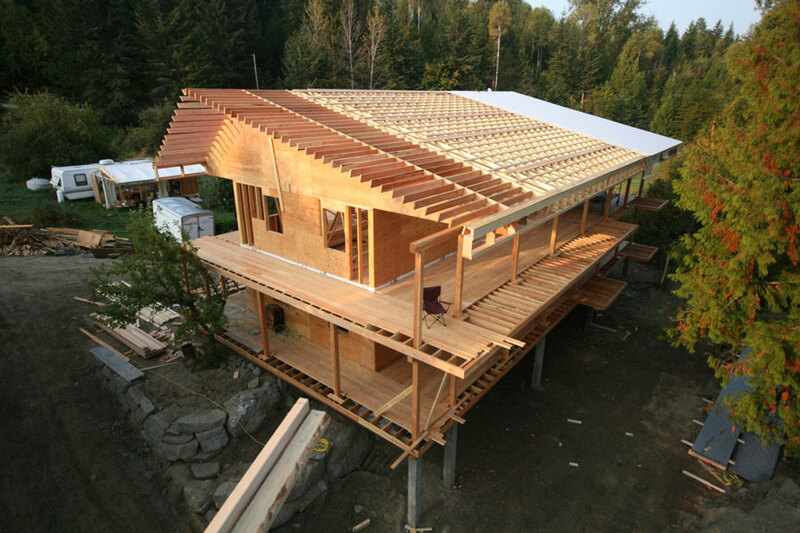 Passive House does not stipulate how you gain the efficiency or air tightness, just that you must meet a maximum air changes per hour (ACH) of .6 or less and a maximum heating requirement of 1 watt per square foot of floor area. 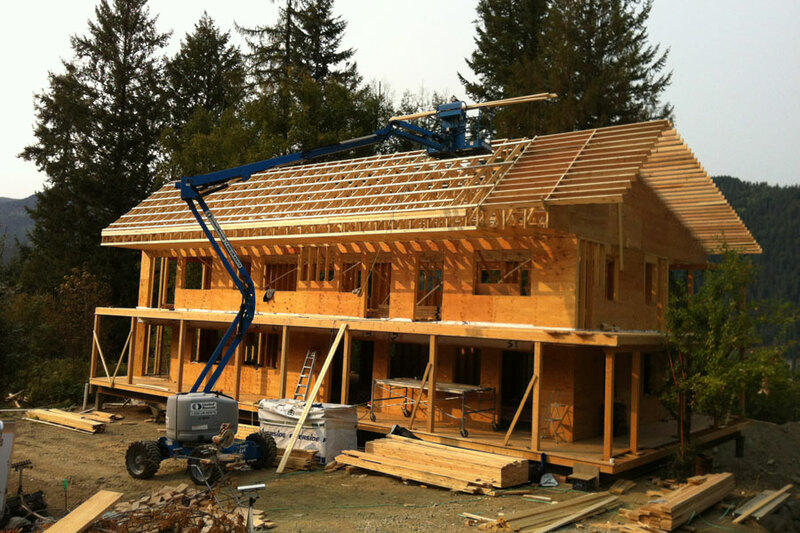 We designed a triple-stud frame construction with our vapour barrier on the second stud frame. 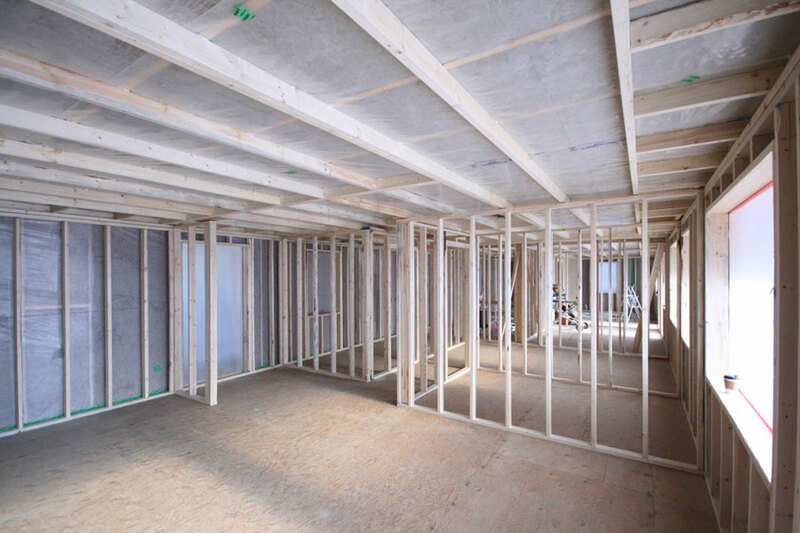 This allows the vapour barrier to still be on the “warm” side of the wall (with 2/3 the insulation still being outside the vapour barrier) while giving us an installation cavity to install our HVAC, plumbing, data, and electrical without perforating our vapour barrier. 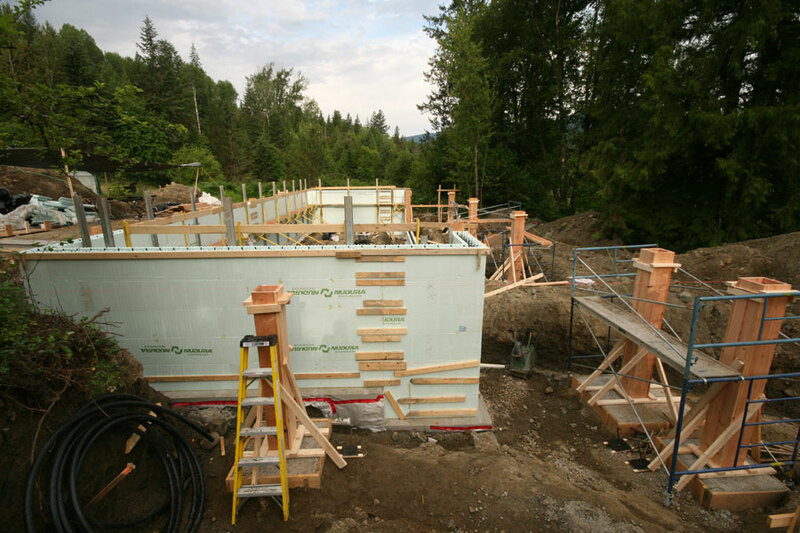 With 17” of blown in, and wet-set, cellulose we have an r-value of 68 in our walls. 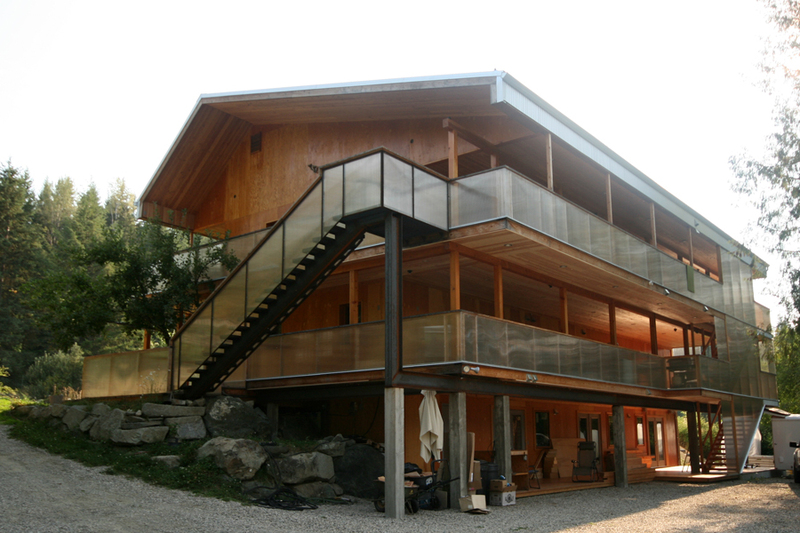 The installation cavity and placement of our vapour barrier as well as the quality of windows and craftsmanship resulted in an ACH of .2 — three times as tight as we needed, to reach Passive House, and resulting in one of the tightest homes in Canada. 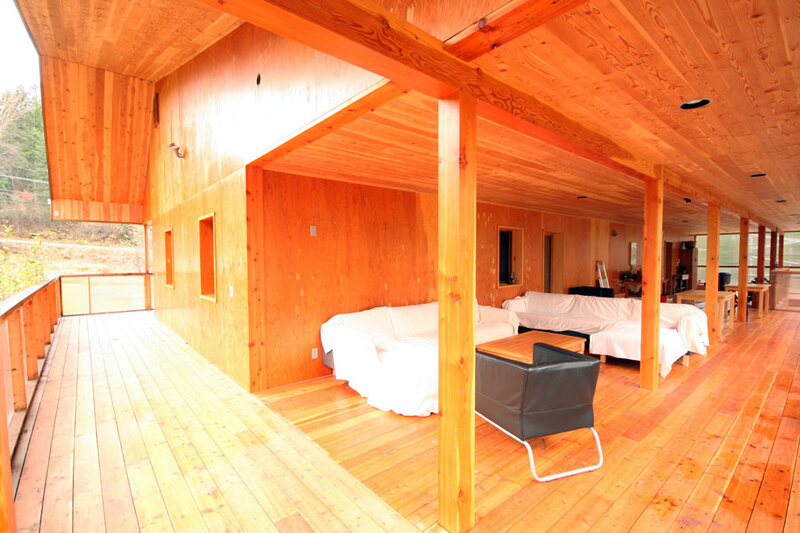 We chose to use environmentally friendly and recyclable finishes wherever possible. 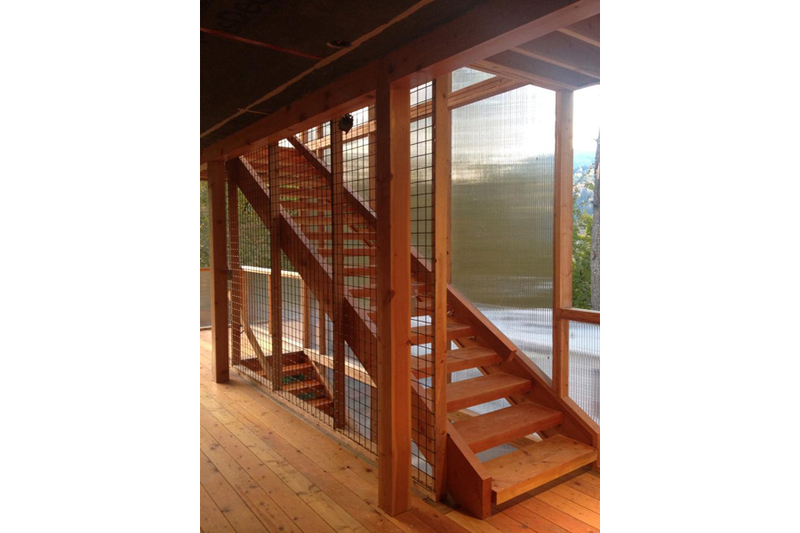 This resulted in a healthy indoor air quality and a building with low embodied energy over its lifespan. 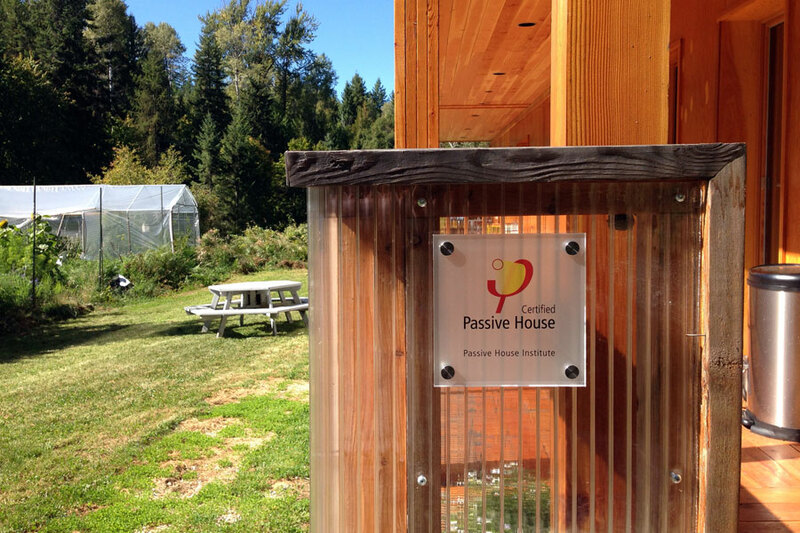 Bedford RoadHouse is featured on the Canadian Passive House Institute West website.